The famous Scotsman, General Wellington, leading the allies in 1815 to victory at Waterloo against Napoleon. 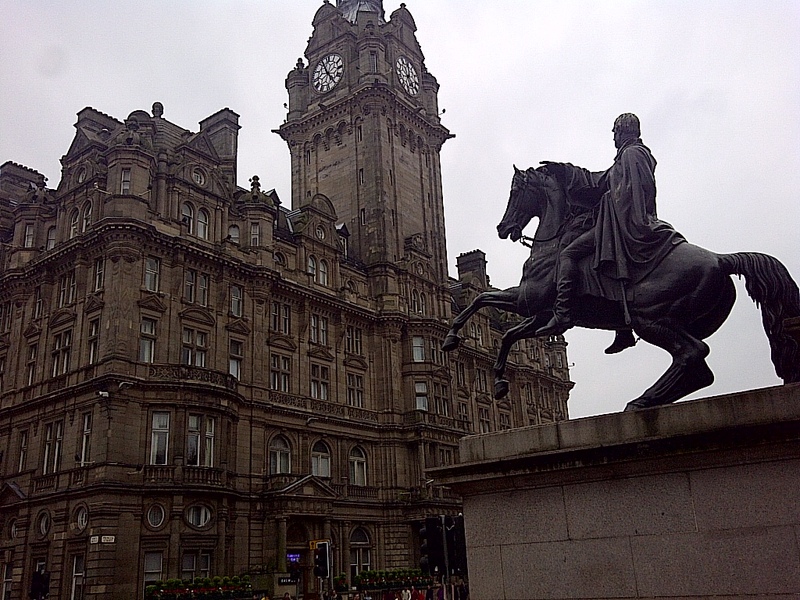 The Balmoral Hotel in the background. Edinburgh, Scotland, UK. June 11, 2013. On the ENGLAND, SCOTLAND & WALES tour.